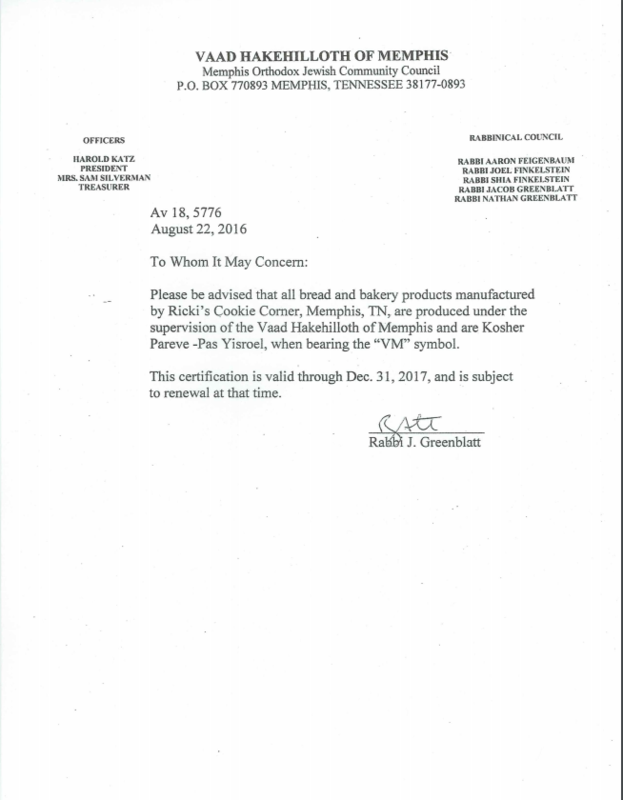 All food items offered by Ricki's Cookie Corner are produced under the strict supervision of the Vaad Hakehilloth of Memphis, and are certified Kosher and Parve (neither meat nor dairy products). All bread products are Pas Yisroel. The Vaad of Memphis is used and recommended by all the national Kashrus Certifiers.